The following is a guest blog from Coveo. The overwhelming majority of support leaders have recognized that their organizations’ self-service channels are their customers’ most preferred method for getting support (and that assisted service has become something they want to avoid). Customers want to find the answers to their questions independently and conveniently. As such, 97% of companies are investing in improving their customers’ self-service experience in 2017. Self-service is dramatically more cost effective than other service channels, both in cost per resolution, and because it reduces the overall case load on contact centers. According to TSIA, phone and email support are each well over 100x more expensive per incident than web self-service, while chat costs over 30x more. Read more about that here. New technologies are making it possible to create an intelligent self-service experience – one that is easy, relevant, and intuitive – that can generate results quickly. For example, WatchGuard Technologies created an intelligent self-service experience, that improved its case deflection rate from three to 11 percent within only four months. Customer satisfaction is of utmost importance to WatchGuard. The company provides several customer support options, including a 24/7 call center, and a wide range of online technical resources such as a knowledge base, technical documentation, video tutorials, product datasheets and user forums. However, before implementing an intelligent self-service solution – and despite all their available resources – the self-service capabilities were still falling short. Results from a TSIA Benchmark Review helped them realize that their self-service site was not intuitive to their customers and there was no easy way to search and filter through all the information. Watch Joanne Miller, Managing Director of Product Training and Publications at WatchGuard Technologies, explain her journey to intelligent self-service in this video. Your customers expect to be able to find the answers they need with minimal effort. Unifying your content and making it searchable allows them to do so. A unified index consolidates all of your organization’s information from across your entire ecosystem and creates a single hub that puts relevant information at your customer’s’ fingertips. Intelligent search taps into that index to find exactly what is being searched and delivers the answers your customers need, when they need them. 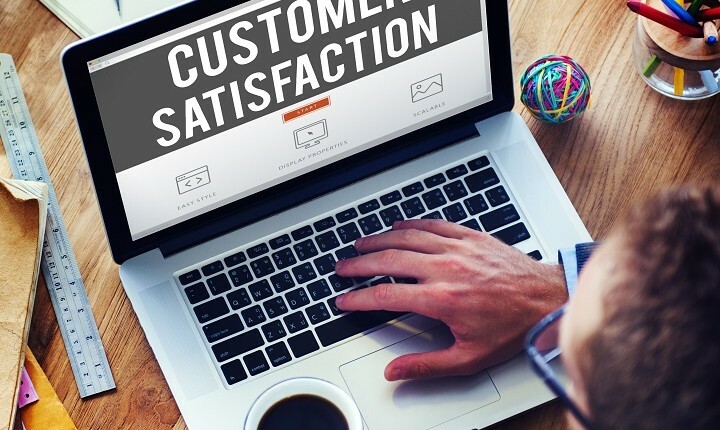 Offering access to case-resolving content is an essential first step, but self-service is even more effective when the content is relevant and proactively recommended to each customer based upon their unique situation. By analyzing each customer’s real-time site activity, product and service history, and other profile characteristics, your intelligent self-service site can automatically deliver contextually relevant information that has proved helpful to other similar customers in the past. The relevance of results self-tunes through techniques that weigh results based upon implicit and explicit contextual factors. With the use of machine learning, intelligent self-service solutions offer predictive insights that are characterized by the most relevant information and content being anticipated, suggested and recommended. Intuitive self-service continuously adapts and evolves based on the interactions of other users with the self-service site in real-time and provide valuable insights. These insights allow your organization to automatically make contextually relevant recommendations, that promote products and offers for add-on, upsells and cross-sells. If your executive team has considered or committed to improving your organization’s customer service this year, you’ll want to make sure the company’s dollars are put where they can make the biggest impact. Intelligent self-service unquestionably offers the highest and most compelling return on investment. By enabling your people, processes and technology to work together, your intelligent self-service site can be rolled out and show improvements in as little as three months. To learn more about intelligent self-service and how your executive team can build it into their 2017 plans, download our eBook, Case Deflection and Self-Service Success. For more on this topic and others like it, join us at Customer Response Summit Las Vegas – February 6-8, 2017 at the ARIA Resort & Casino in Las Vegas, NV.